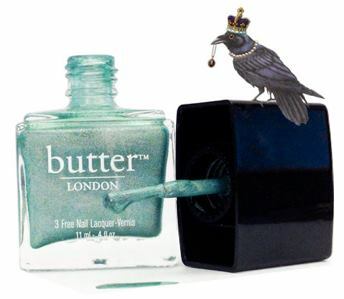 For fashion night out, Butter London has come out with Fishwife Nail Lacquer, which is described as a holographic turquoise and sage nail lacquer. But it is ONLY available in the USA. Insert crying here!! This looks like a dupe for Milani's Cyberspace; it looks like they ship to Canada too! I'm kind of disappointed in BL's holos for this collection, because they look like dead-on dupes for the Milani 3D polishes.